Ten Business Pitch Competition finalists took to the stage to make a two-minute pitch at the 6th annual Governor’s Conference on Business on August 17 at the Nugget Hotel Casino in Sparks. At the conclusion of the competition, the judges’ panel conferred to determine first and second place, and the audience cast their ballots to select the people’s choice award winner. The winning companies were announced at the conference luncheon awards ceremony and were presented with cash and services packages valued at $31,800 total thanks to the generosity of Business Pitch Competition sponsors AT&T, Microsoft, The Abbi Agency and VAST. 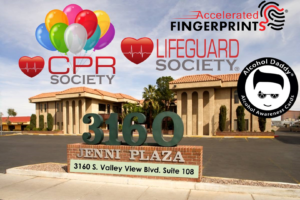 First place: Classes.Vegas (Las Vegas) Classes.Vegas provides a one-stop solution for pre-employment services in the areas of CPR certification, lifeguard certification, alcohol awareness and fingerprinting required to obtain work cards. Second place: Talage Insurance (Reno) Talage Insurance provides a software-based solution that enables the sale of commercial insurance policies from insurance carriers to small business owners through any digital channel, streamlining the process of comparison and purchase. People’s choice: AboveGeo (Reno) AboveGeo is an aerial services and data company that provides high-resolution geospatial data collection and analysis through leading-edge drone and sensor technologies. Talage Insurance (Reno) – provides a software based solution that enables the sale of commercial insurance policies from insurance carriers to small business owners through any digital channel, streamlining the process of comparison and purchase.